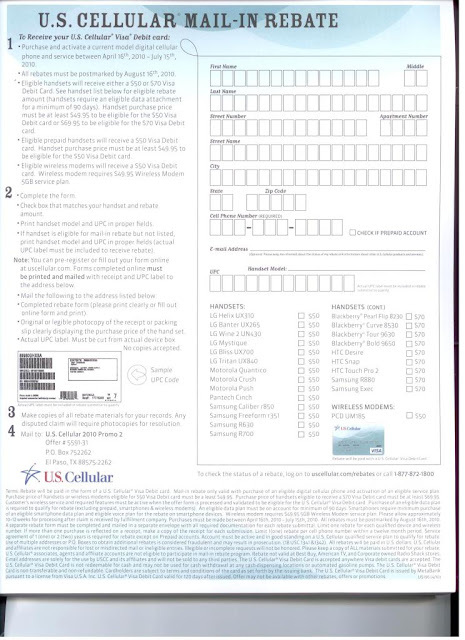 BlackBerry Bold 9650 Releasing On US Cellular With Mail-In-Rebate? An image emerged today on HowardForums showing a new mail-in-rebate promotion by US Cellular. To our surprise it shows one of the eligible devices to be the BlackBerry Bold 9650! What is even stranger is the promotion starts April 16th and ends July 15th 2010. While we doubt the 9650 will be available in two days on US Cellular, it is still interesting that it may be up for an MIR. When do you think the Bold 9650 will release?